Government Law - Shannin Law Firm, P.A. The Shannin Law Firm is proud to assist governmental clients with their administrative, litigation, and appellate needs. We put our skills to use for governmental clients as well as for businesses and private citizens. Attorney Nick Shannin serves as general counsel for the Orange County Supervisor of Elections. He also assists the City of Orlando regarding appellate issues, including filing appellate briefs before both the U.S. 11th Circuit Court of Appeals and the United States Supreme Court. The Shannin Law Firm has represented the Orange County School Board, the Orange County Clerk of Courts, the City of Mount Dora, the City of Titusville, the City of Center Hill, Sumter County, and other municipalities. 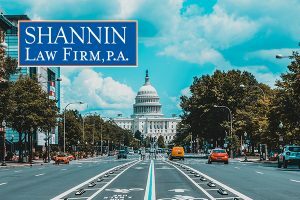 In addition to representing governmental clients, the Shannin Law Firm puts its valuable experience to work representing businesses or homeowners regarding administrative or regulatory matters. Attorney Nick Shannin has appeared before the Orange County and Lake County Boards of County Commissioners on such matters and is ready to help you or your business with your governmental concerns. As a member of the National Association of Parliamentarians, Mr. Shannin is available to advise both governmental agencies and other boards regarding issues of parliamentary procedure. He has served as parliamentarian and crafted bylaws for numerous business and civic organizations. If you are a governmental agency, business, or individual needing representation before a governmental board or agency, please consider the Shannin Law Firm as your portal to proper representation.